Okay, so I might be overselling it a little, but trust me - I was surprised by how much I enjoyed it. Les and I were in town for a festival at Birmingham Botanical Gardens and were looking to do a bit of exploring. 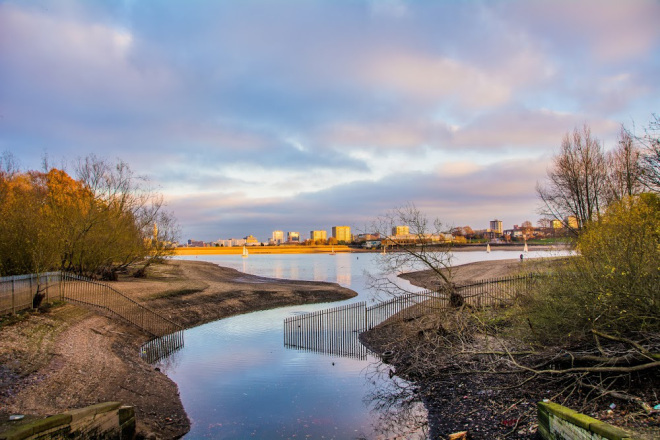 Edgbaston is a small reservoir in Birmingham, England and was designed by engineering master, Thomas Telford. 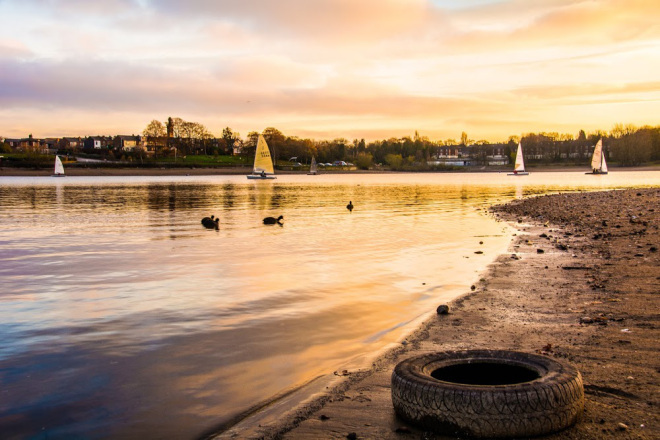 Surrounding the reservoir is around 70 acres of woodland and, as I found out by walking around, is pretty popular with runners, sailors, anglers, kayakers, dog walkers, swimmers and, most importantly of all, dogs who like swimming. The reservoir is the home of two rowing clubs in the city and seemed to be hosting a small Americas Cup type sailing event on the day of my visit. The reservoir also houses Edgbaston Water Sports, and offers a wide range of activities to local people, schools and, well, anyone else that fancies getting wet, I guess. The pathway around the reservoir itself is around 1.75 miles in length, so it's long enough for a good walk and short enough so as not to knacker yourself out. As the path literally surrounds the reservoir, it offers great views of all the action out on the water, as well as the chance to meet some new dog friends (which I did) while you get some fresh air. Obviously, the area is less busy in Autumn and Winter because it's located in the UK and it's probably freezing. However, the summer months are very popular for picnics and gentle ramblings that don't involve gloves, scarves and the constant cry of 'OMG, I've, like, NEVER been this cold before...' from your walking buddy. Or, in this case, from me. One of the loveliest things about walking around the reservoir, aside from the woodlands, boats and general peaceful setting, is watching the sunset. We made no special plans to be there for it, but we were extremely pleased that we got to witness the sinking of the sun on the calm water. 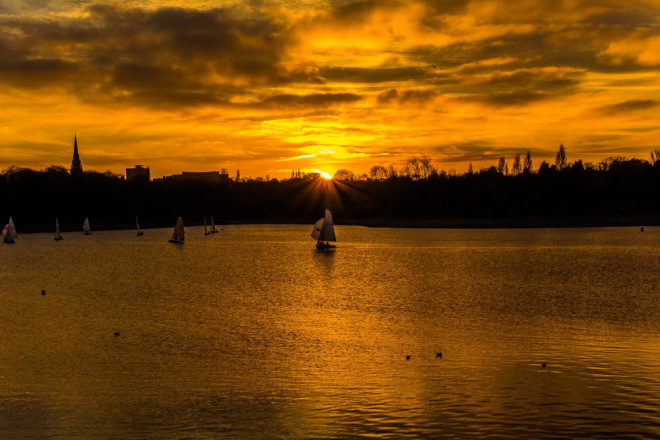 Edgbaston Reservoir is a public park and can be visited at any time of year. Dogs are also known to be walked there all year round.